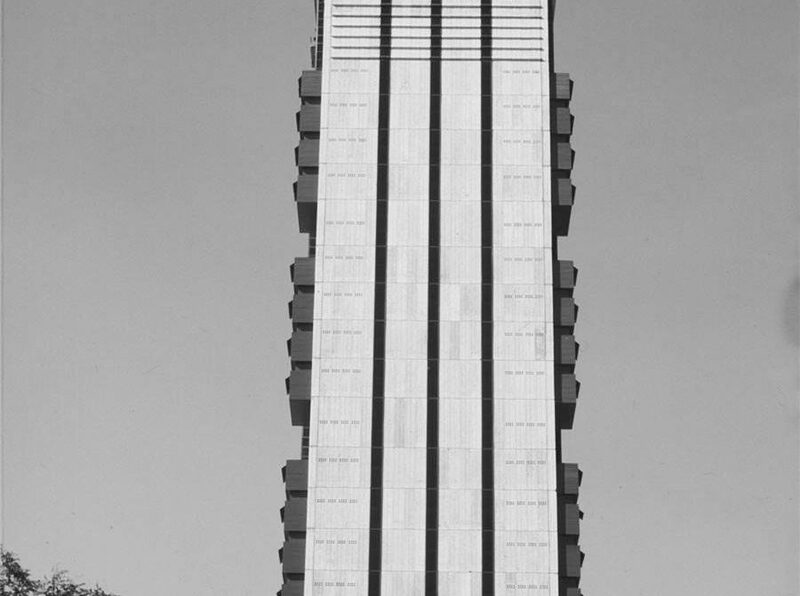 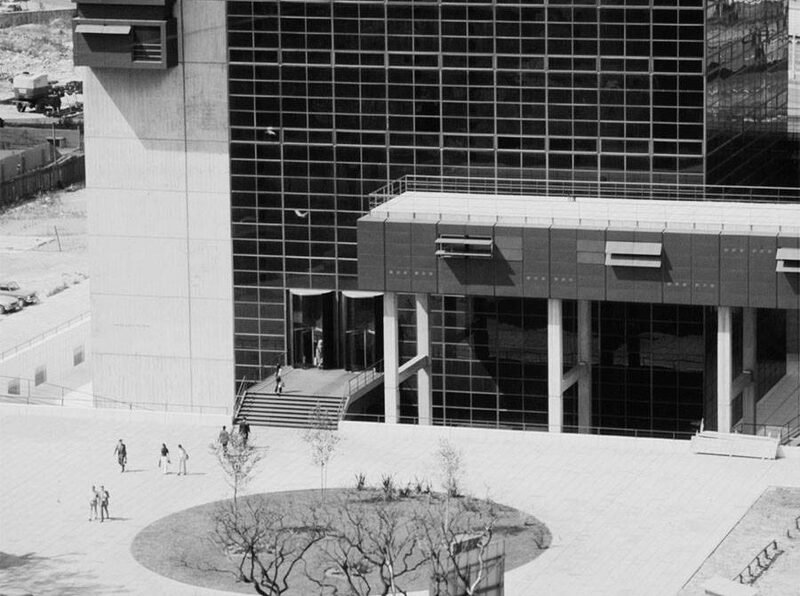 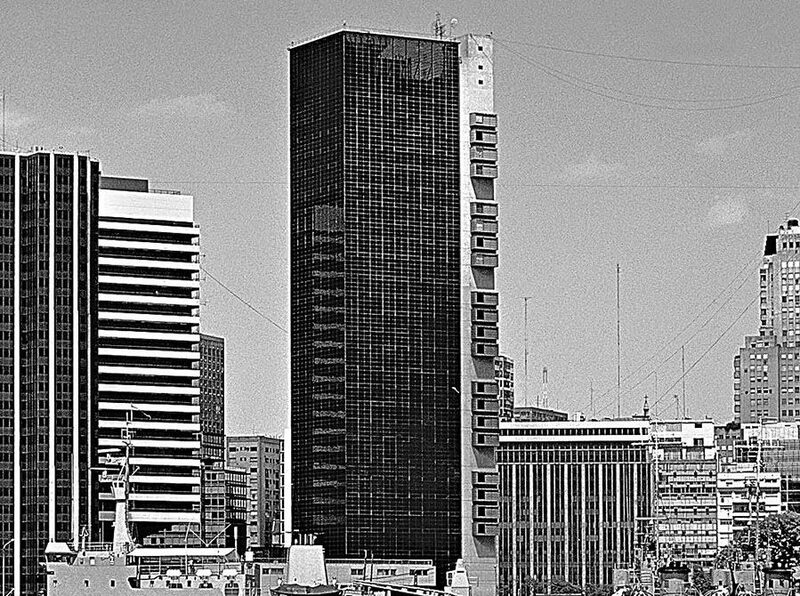 Celebrating 50 years: The Argentine Industrial Union Building (1968) – designed by Rafael Viñoly in conjunction with MSGSSV Architects – is a 120-meters-tall pure glass prism located on the edge of the Port of Buenos Aires. 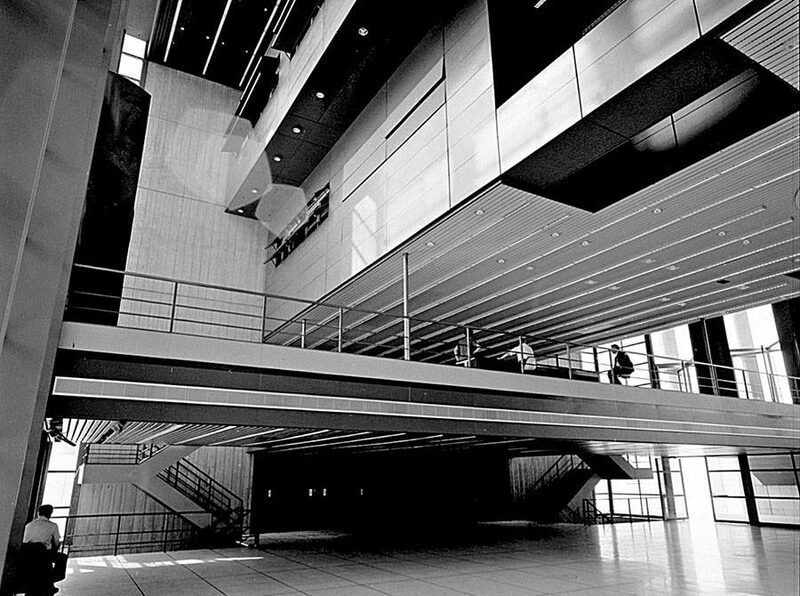 The design concentrates all of the building’s services and circulation within a thin concrete spine and channels the remaining load of the floor slabs onto two small piers. 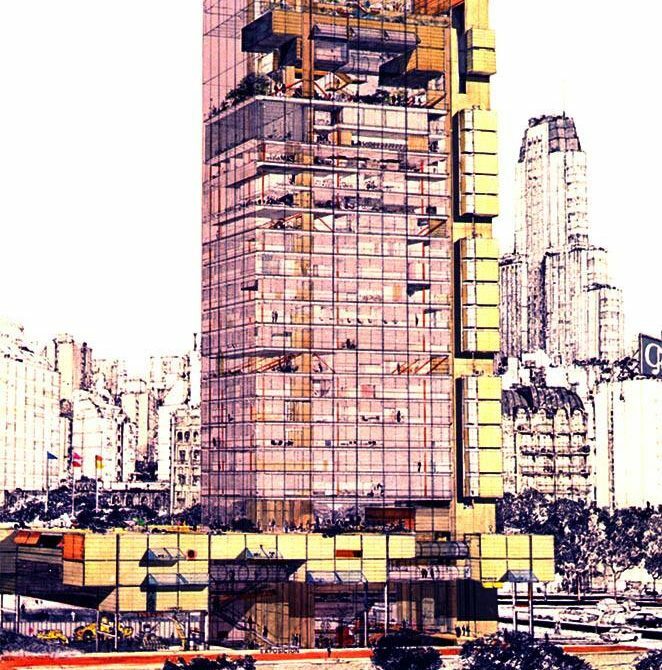 This arrangement permits maximum flexibility for individual floor plans between the double-height atrium at ground level and an open triple-height terrace at the top.